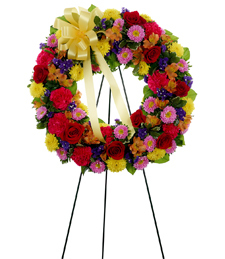 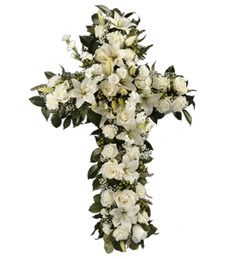 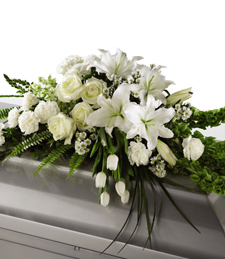 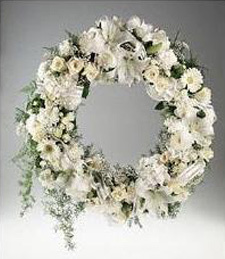 Pay tribute to a dear friend or loved one now at rest with this exquisite funeral wreath. 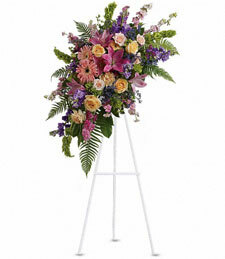 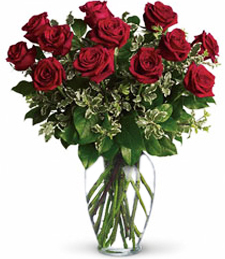 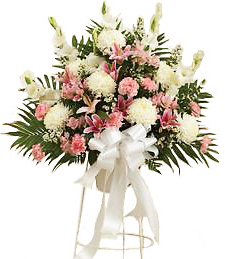 Sparkling with stunning, fresh flowers, this arrangement shimmers with nature's beauty and grace, making it a truly loving and heartwarming token of your deepest sympathy, support and fond remembrance. 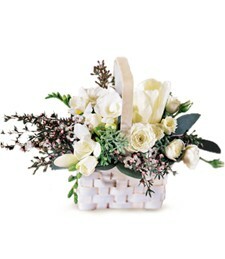 As a loved one passes on and finds peace, honor their memory with the exquisitely beautiful White Dove Basket. 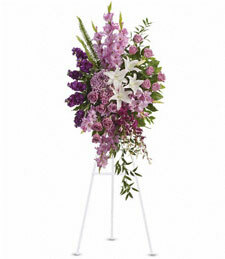 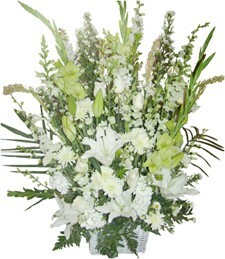 Filled with white roses and freesias, this arrangement will fill even the darkest of days with a sense peace and calm. 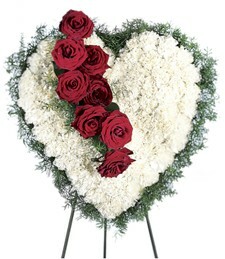 Embrace that cherished love one through this difficult time of loss for a Graceful Blush is never forgotten. 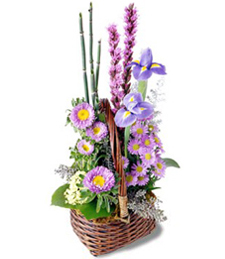 A kaleidoscope of color collaborate well in spring colors of precious pink, deep purple, and pastel yellow. 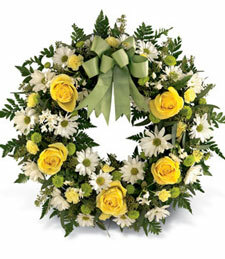 Give them a gift as a token to a celebrated life for every moment is precious in time. 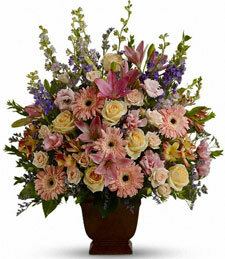 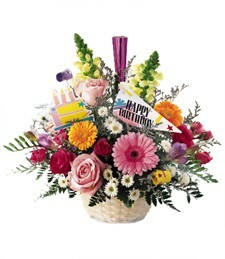 Radiant and beautiful, this exquisite arrangement of fresh, sweet smelling flowers exudes nature's grace and wonder. 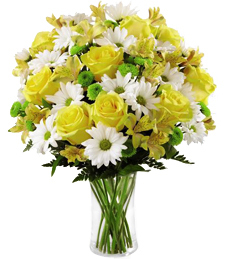 These brilliant blooms are a heartwarming and loving gesture of sympathy, support and remembrance during these difficult times. 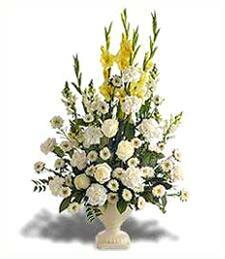 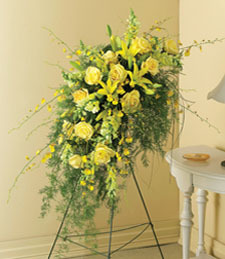 Celebrate an honor a cherished life and memory with this vibrant, yellow arrangement of fresh flowers. 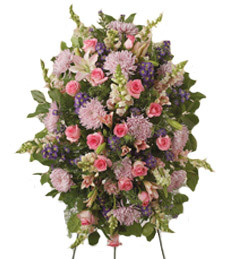 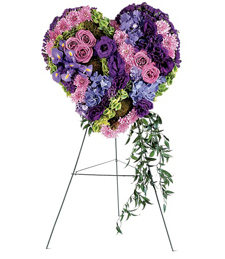 Breathtakingly beautiful and sweet smelling, these blooms are a heartfelt, loving gesture of your deepest sympathy, support and fond remembrance. 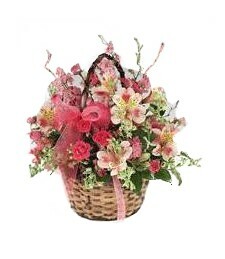 This spring basket arrangement of tender-hued blooms is truly pretty in pink. 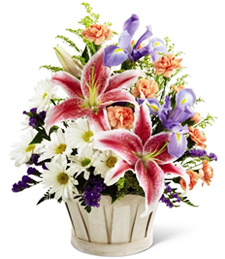 The beauty of these blooms is like a downy-soft handkerchief for a tearful friend in need. 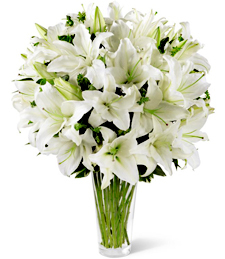 The innocence of white is always a graceful choice when setting their hearts at ease.